Do you have an interest in working with world class software for visualization technologies, mobile platforms AR, VR and Web? We are currently looking for someone who can do network, server and Q/A operations as well as have an interest in development. Please see our recruitment page at Compass. HxGN Visualization, part of Hexagon Innovation, develop and deliver a wide range of visualization technologies for mobile, desktop, AR, VR and Web. HxGN Visualization was previously myVR Software. 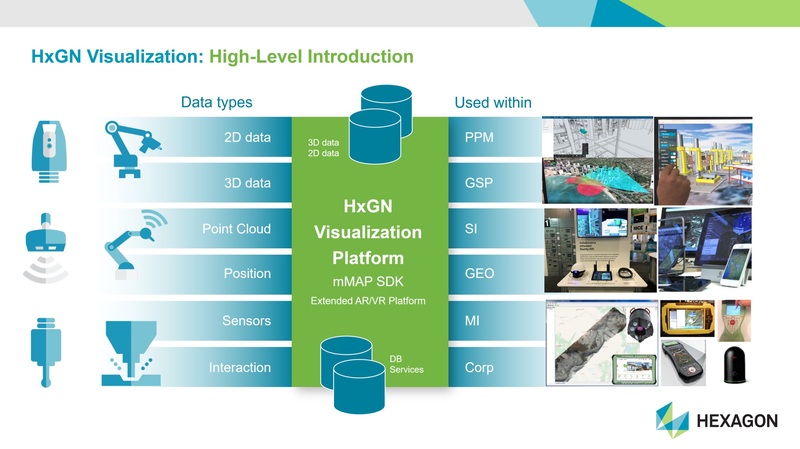 The features offered by HxGN Visualization are shared technology components for visualization and interaction across the divisions of Hexagon, and is available as a native SDK built for multiple platforms. HxGN Visualization also provides a powerful data pre-processing tool for optimizing data for streaming and mobile usage. Please note that our technologies are exclusively available to Hexagon entities. The different divisions base their products on different types of data; point clouds, CAD models, geospatial data and more. HxGN Visualization allows all of these to base their visualization needs on the same technology in a unique combined way. Within each data type, there are also multiple formats capable of representing some or all aspects of a data type. HxGN Visualization uses a combination of third party libraries and internal format support to facilitate a broad range of supported formats. Often data such as point clouds or CAD models live in their own, local coordinate systems. HxGN Visualization exposes functionality for placing any kind of data in a geospatial context so that finally all your data gets a location. Unique to HxGN Visualization, all of these data types and formats, geo-referenced or not, can be combined in the same view. Complex 3D models can live on top of OpenStreetMap, point clouds can hover above the harbor in a 3-dimensional representation of LA etc. allowing you to freely combine data sets in the same view. HxGN Visualization technology runs on several types of hardware and platforms such as iOS, Android, native Windows, Linux and OSX and HTML5. Additionally we actively work within the realms of VR and AR on devices such as the HoloLens, Daqri, Oculus and Vive. Among other things this allows the development of applications featuring data-driven collaboration across platforms and devices. More information on HxGN Visualization and its role within Hexagon can be found in the company overview. Contact us at post @myvr-software.com for further information or access to HSV technology. One of the key announcements at HxGN Live 2018 was the release of the XALT platform, of which Advanced Visualization is a capability. 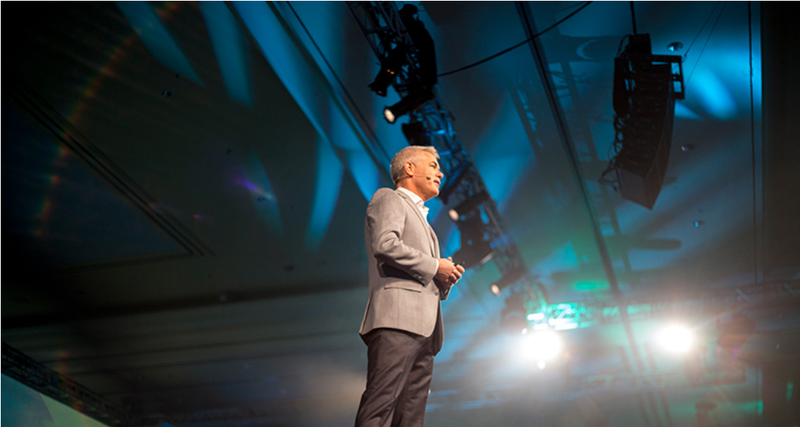 HxGN Live 2017 was a huge success and great fun. This video illustrates and recaps both the mood of the show and technologies at display.